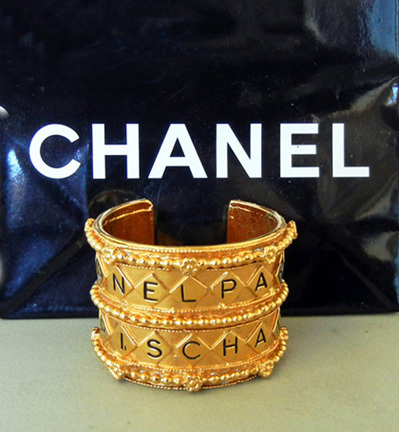 Authentic engraved "Chanel Paris" in a quilted gold plated cuff bracelet. Features three (3) rows of gold plated beaded trim adorned with tiny floral rosettes. 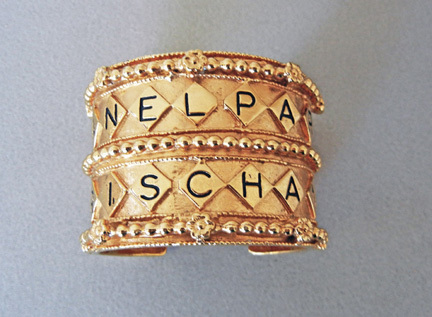 Cuff measures 2" wide and fits to 7" wrist comfortably. 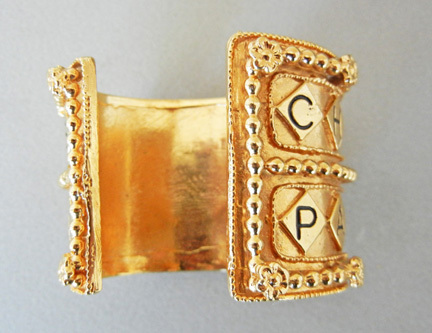 Cuff is very weighty, substantial and rich looking. Condition: excellent; slight unnoticeable thin scratch on lower interior but not outside. Looks new and feels great!